Reblogged this on Lyfe in Pixels. My students just finished the NEWSELA article about you. Then we read your remix. They really liked your story! Thank you very much. I have to find the NewsELA article on this now. Just heard about this on TWIT.tv – SUPER JOB on the re-mix! and the reality of the situation. 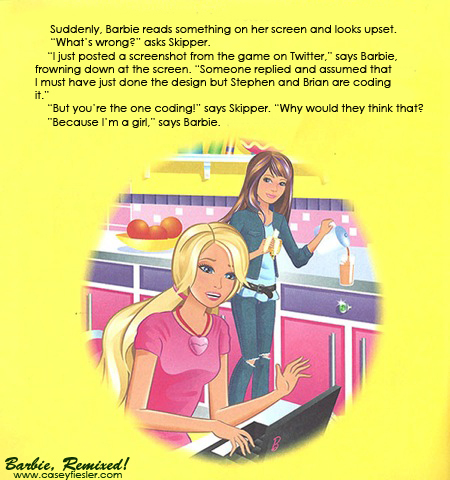 Who has it out for Barbie Mattel to keep putting out these stupid things Barbie tattoos and now this book – that book doesn’t have antiquated ideas – it never existed. This feels like the other extreme to me. It went from extremely degrading to extremely pandering. 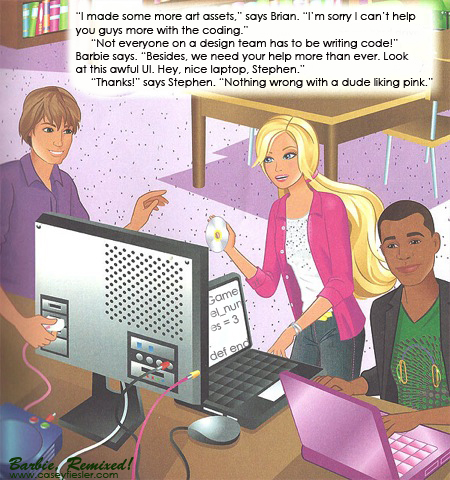 Hi there,I read your blog named “Barbie, Remixed: I (really!) 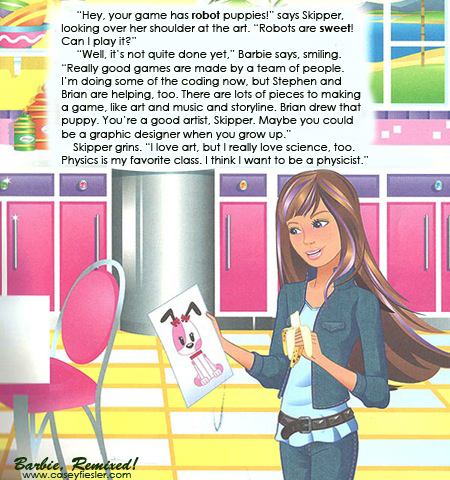 can be a computer engineer. | Casey Fiesler” on a regular basis.Your story-telling style is witty, keep doing what you’re doing! And you can look our website about proxy list.